Last 1st of July, I experienced one of the best things in this world...and that was to spend a day to give back to nature! 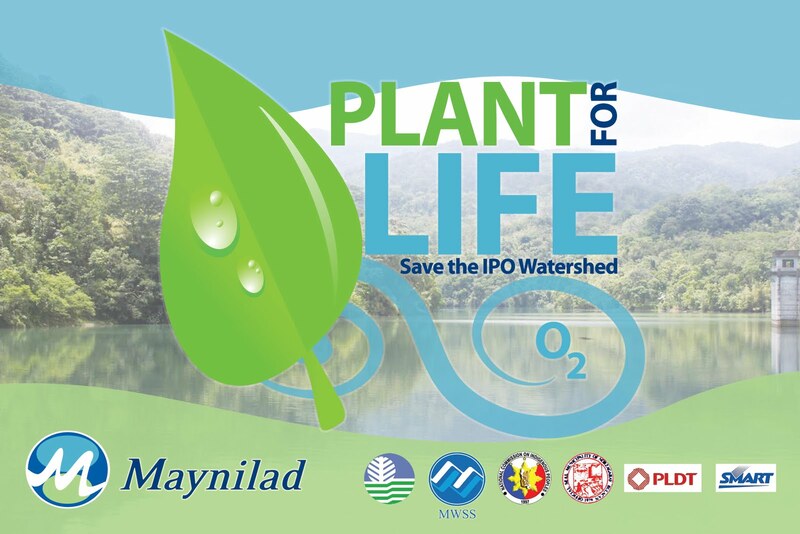 Our office organized a tree planting activity in the Ipo Watershed, in Norzagaray, Bulacan. As a water company, we recognize our duty to save and protect the environment as it is vital in giving life to everyone. The Ipo Dam is one of the biggest sources of the metro so it is essential that we protect it. We left the office at 6:30am and we got there at around 8am. We had a short program where the officials of the participating companies/institutions shared a few words. Then we took a 30-minute boat ride to the area where we'll be planting trees. It was so fun 'coz it felt like a hiking/trekking activity going up a mountain. We met a lot of Dumagats, the indigenous people who live in the area. Also, we had to cross streams to get to the planting site. I haven't seen such a clear and cold stream for the longest time! We were able to plant around 5000 trees since we were a big group. Our next tree planting activity is on July 29 in the same venue. We have scheduled month tree planting activities to reach our target of 35,000 trees until the end of the year.